If you need any help or advice, or have any questions, we're here to help. We're always happy to assist you with choosing or using one of our Flower, Gem & Crystal Essences, or to help with any other related questions or issues that come up while you're taking your chosen Essences. Choosing an essence either for yourself or someone else is an easy and simple process. Keep in mind that you are dealing with the underlying issues rather than symptoms, and that generally it is best to work with the issues that are the most obvious first, recognizing that other issues will be revealed as you do this. 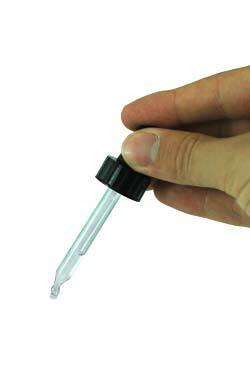 You can find out more and use our Essence Selector on our 'Choosing An Essence' page. Give us a call - If you would prefer to speak to us directly, then please do give us a call for some free help & advice (Contact Us). If you would like some more in-depth help with choosing an Essence, you might also like to try our Personal Essence Consultation. What Are Flower, Gem & Crystal Essences? 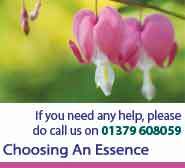 If you have a question about our Flower, Gem & Crystal Essences, or would like some general help and advice about any aspect of taking or using our Essences, please do give us a call and one of our team would be happy to help. Ordering from Crystal Herbs is safe, simple and secure. You can order online here on our website or you can call us to place your order over the phone. If you have any questions about ordering from us you can find out more details here - Ordering from Us. Alternatively, if you would like help with placing your order, or if you need any help with any of the items in your order, please do contact us. You can find out more about Post, Packing & Delivery here. If you are a qualified and practicing Therapist or Practitioner you can also apply for a Practitioner Account with us.